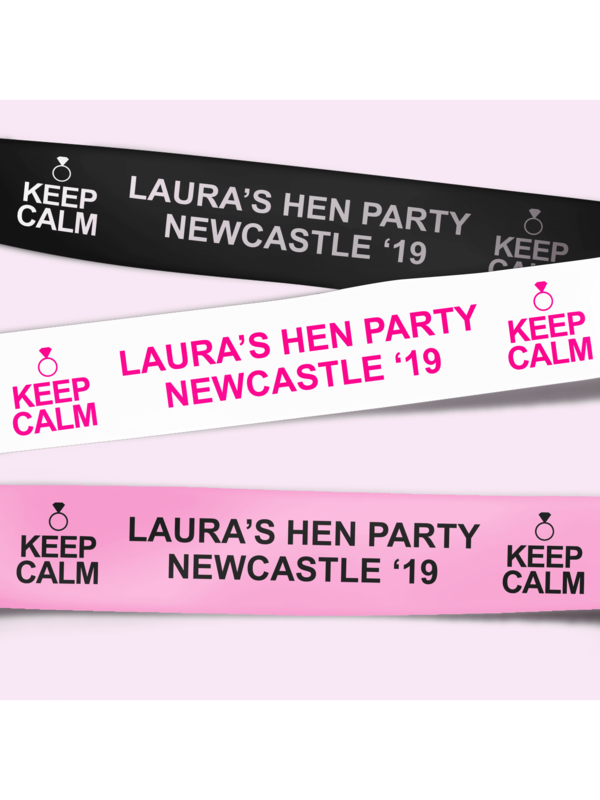 Join the 'Keep Calm and Carry On' trend with this hen party sash, featuring the popular 'Keep Calm' design. This sash is available in a choice of colours to suit a variety of tastes, and can be personalised. We offer personalisation on the front of sashes as standard, but you can also personalise the back of your sash for an extra charge. Keep calm and carry on with your hen party!